The signs speak for themselves when they are carried out fully and sincerely. For example, Anointing with Chrism should not be reduced to mere smearing. A good liturgy is one that brings out the innate beauty of the signs by doing them in just the right measure--neither overdoing nor understating them. How beautiful the hands that serve. 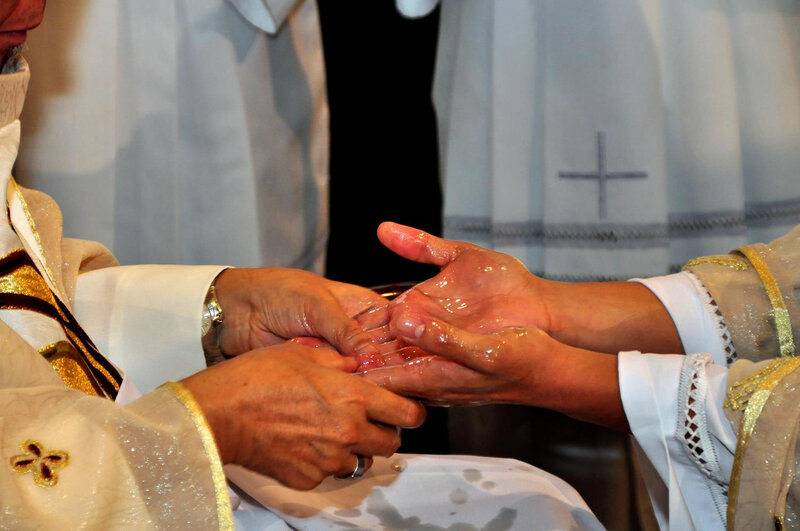 Anointing of the hands of the newly ordained. Presbyteral Ordination last September 25, 2010 at the Manila Cathedral. Deacons serve at the bishop's side. Diaconate Ordination last October 2, 2010 in San Jose Seminary.